The Panama Canal project figured large in the novel Stuart Brannon's Final Shot, begun by my husband Stephen Bly and completed by myself and three sons. Here's some of what we learned in our research. The narrow land bridge between North and South America offered a unique opportunity to create a water passage between the Atlantic and Pacific oceans. At first the French tried to build a sea-level canal but failed. But only after major excavation. 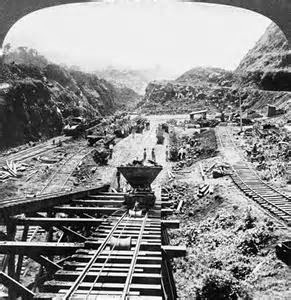 This benefited the U.S. which completed the present Panama Canal in 1914. Along the way, the nation of Panama was created through its separation from Colombia in 1903. Today, the canal continues to be not only a viable commercial venture, but also a vital link in world shipping. Construction of the canal began on January 1, 1882.
was not known at the time how these diseases were contracted. Any precautions against them were doomed to failure. For example, the legs of hospital beds were placed in tins of water to keep insects from crawling up. But these pans of stagnant water made ideal breeding places for mosquitoes, the carriers of these two diseases, and so worsened the problem. In addition, the project was plagued by a lack of engineering expertise. Financing and mortality among the workers, along with frequent floods and mudslides, brought more serious trouble. In 1889 the company became bankrupt, and work was finally suspended. After eight years, the work was about two-fifths completed, and some $234,795,000 had been spent. The collapse of the company was a major scandal in France. French engineers were well paid and the prestige of the project attracted the best of France's engineering schools, but the huge death toll from disease made it difficult to retain them. They either left after short service or died. The total death toll between 1881 and 1889 was estimated at over 22,000. One of the greatest barriers to a canal was the continental divide, which originally rose to 110 metres (360.9 ft) above sea level at its highest point. This gave rise to one of the greatest engineering feats of its time. President Theodore Roosevelt believed a U.S.-controlled canal across Central America was a vital strategic interest to the U.S. This idea gained wide impetus following the destruction of the battleship USS Maine, in Cuba, on February 15, 1898. The USS Oregon, a battleship stationed in San Francisco, was dispatched to take her place, but the voyage — around Cape Horn — took 67 days. Although she arrived in time to join in the Battle of Santiago Bay, the voyage would have taken just three weeks via Panama. 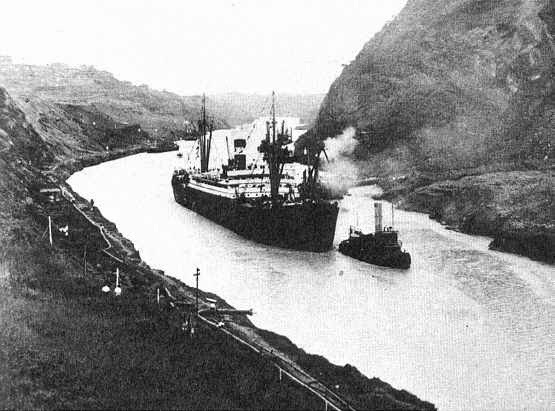 Roosevelt pushed through the acquisition of the French Panama Canal effort. Panama was then part of Colombia, so Roosevelt opened negotiations with the Colombians to obtain the necessary rights. In early 1903, the Hay-Herran Treaty was signed by both nations, but the Colombian Senate failed to ratify the treaty. In a controversial move, Roosevelt implied to Panamanian rebels if they revolted, the U.S. Navy would assist their cause for independence. Panama proclaimed its independence on November 3, 1903. 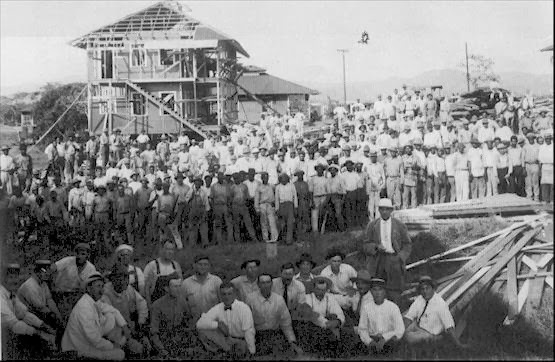 The victorious Panamanians returned the favor to Roosevelt by allowing the United States control of the Panama Canal Zone on February 23, 1904, for $10 million. Americans inherited a workforce, but also a great jumble of buildings, infrastructure and equipment, much of which had been the victim of fifteen years of neglect in the harsh, humid jungle environment. There were no facilities for the workers and the infrastructure was crumbling. The early years of American work produced little in terms of progress but were the most crucial and difficult of the project. Lock Canal or Sea-Level Canal? Even as early as 1885, it was apparent that a sea-level canal was impractical, and that an elevated canal with locks was the best answer. Meanwhile, many in the U.S. speculated a canal through Nicaragua would render a Panama canal useless. The Nicaraguan Canal proposal was finally made redundant by the American takeover of the French Panama Canal project. No decision had been taken regarding whether the canal should be a lock canal or a sea-level canal. Finally the Senate and House of Representatives ratified the lock-based scheme. 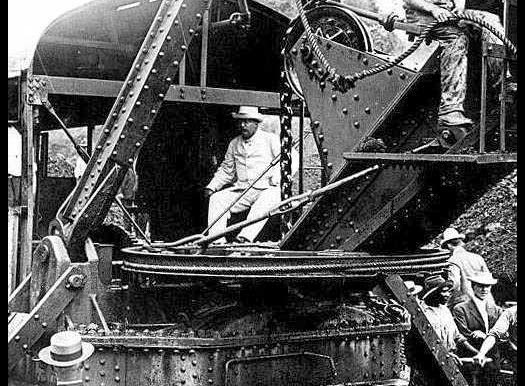 In November 1906, Roosevelt visited Panama to inspect the canal's progress. This was the first trip outside the United States by a sitting President. 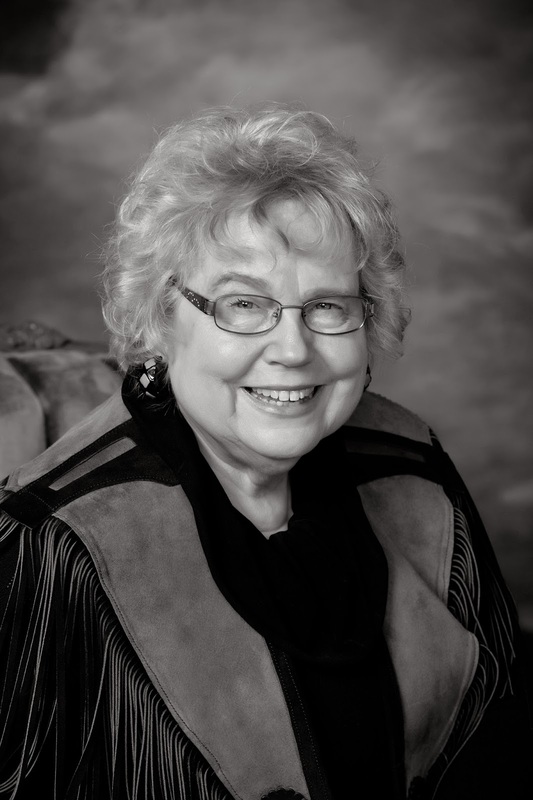 Janet Chester Bly has authored 31 nonfiction and fiction books, 19 of which she co-authored with her late husband, award-winning western author Stephen Bly. She lives in north-central Idaho on the Nez Perce Indian Reservation at 4,200 ft. elev. across from Winchester Lake and Winchester State Park. She has 3 married sons, 4 grandchildren, and 2 great-grandchildren who all live down the mountain from her in the banana belt of Lewiston. It's 1905. Two orphans flee Tillamook Head. One of them is branded a hero. Dare they tell the truth and risk the wrath of a dangerous man? 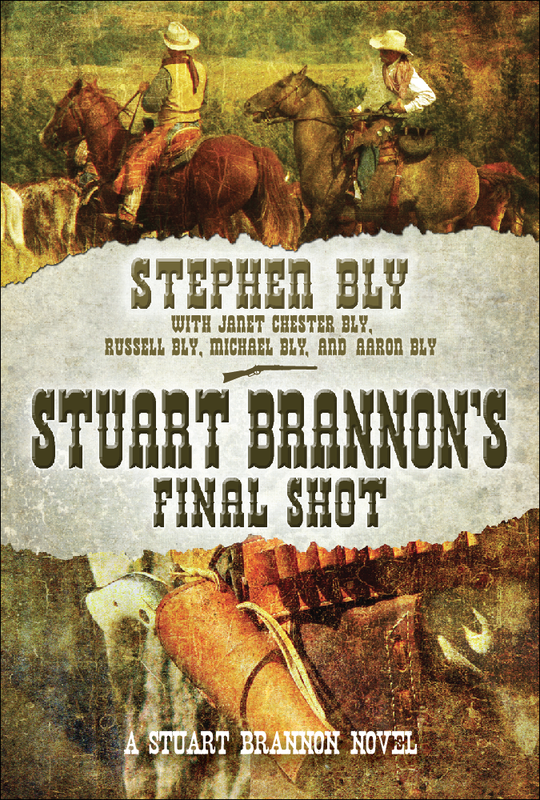 Meanwhile, ex-lawman Stuart Brannon seeks to find a missing U.S. Marshal at the request of Teddy Roosevelt. Who can deny the President of the U.S.? And his old friend Lady Harriet Reed-Fletcher talks him into learning the game of golf to play on behalf of a celebrity charity tournament. Great post! I found it so interesting. Thank you for sharing. I love the cover and title of your book, I am certainly intrigued.